There are no comments for Christmas Lamp Post 2013. Click here to post the first comment. 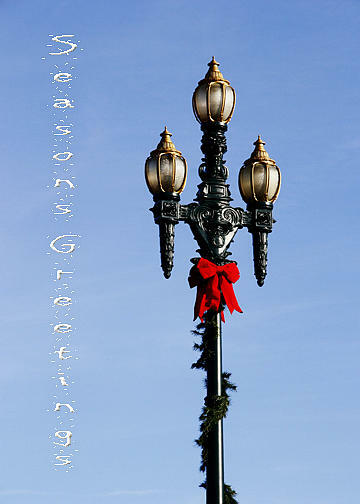 This Christmas Greeting Card can be ordered by clicking on the Greeting Card Icon. Enter your personal greeting to your Family and Friends this Christmas year. Sign up for my emails to receive promotional discounts through out the year!